1 of 4 photos Just down the road! 2 of 4 photos Nearby Great Island, Wellfleet. Good fishing and hiking! 3 of 4 photos Waves at the beach - jump on in! 4 of 4 photos Having fun at Amy pond! A stay in one of our Cape Cod hotel rooms, cottages or house rentals, enables you to enjoy a wonderful assortment of some of the most beautiful beaches in the world. 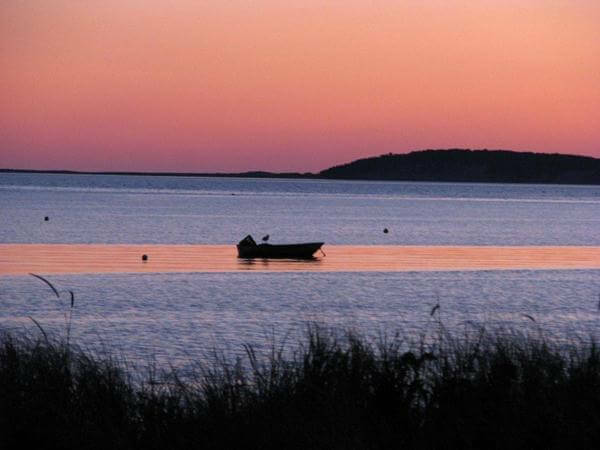 Cape Cod is only 1 ½ miles wide here, so from the Even’tide motel, it’s just a short drive to a variety of Wellfleet’s fresh or salt water beaches. If you stay at our Surfside Cottage, Ebbtide, you can see the water from the rooftop deck, hear the waves, and walk to the beach. If you like waves, towering dunes, and miles of sand, ocean beaches are the place to go. 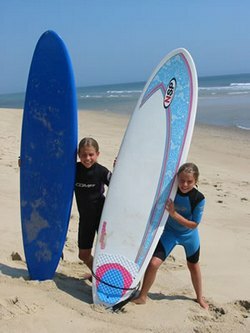 They are great for body and board surfing, boogie boarding, swimming, and miles of beach walking. Sandbars often appear at low tide, beckoning children and adults to frolic in the tide pools. All of the ocean beaches face east, making them perfect for early risers wishing to watch the sun rise over the water. If you’re lucky enough to be here during a full moon, it’s spectacular to watch the moon rise over the ocean. Wellfleet boasts five ocean side beaches all located within the Cape Cod National Seashore. Four of the beaches, Maguire’s Landing (sometimes referred to as Le Count Hollow), White Crest, Cahoon Hollow, and Newcomb Hollow are town run beaches with restrooms and lifeguards. Cahoon Hollow is home to the renowned Beachcomber Restaurant. At the other beaches, food is available from privately run concession trucks. White Crest is the town’s designated surfer’s beach. Surfing is permitted at other town beaches outside of the “town operated” swim areas. Hang gliders are restricted to White Crest Beach, and are allowed before 9 AM and after 5 PM. 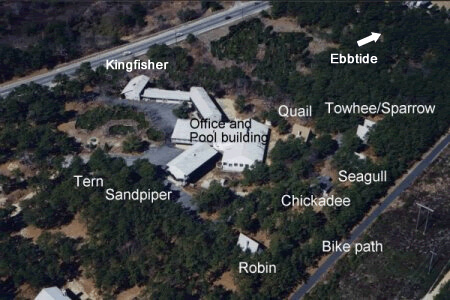 Request Resort InformationThe fifth Wellfleet ocean beach, Marconi, is owned and operated by the National Seashore. Marconi is the closest beach to the Even’tide Motel. You can hike through the Cape Cod National Seashore property, ride your bike on the Cape Cod Rail Trail bike path which abuts our property, or drive (less than 5 minutes). Marconi is the only beach where showers are provided. There are no food concessions at Marconi. So if you’re planning on spending the day, pack a cooler and make sure to bring plenty to drink. Bay beaches are known for their beautiful sunsets and warmer, calmer, salt water. These are the beaches where you are most likely to find shells. The town operated bay beaches are Indian Neck, Burton Baker Beach, Mayo Beach, Powers Landing and Duck Harbor. Windsurfing is allowed at Burton Baker Beach and Indian Neck during certain hours of each tide. Duck Harbor is especially nice for watching the sun set over the water-a rare occurrence on the east coast. The small, fresh water, kettle ponds are sometimes referred to as Wellfleet’s hidden gems. Formed from chunks of melting glacial ice, they are a major attraction for families with young children and those wishing to kayak or canoe. The water is crystal clear and warms up nicely during the summer and fall. Public beaches are maintained with restrooms or port-a-potties at Gull Pond, Great Pond, and Long Pond. Gull Pond, the largest of the three ponds, is a perfect choice for families! It has a sandy bottom beach, an enclosed swimming area, and sailboat, kayak, and paddle boat rentals. Swimming lessons are offered by the town during July and August. Many people enjoy boating across the pond to adjoining Higgins Pond that is connected by a small opening. Long Pond is another family favorite. There is a beach and a large grassy area to spread out and enjoy the sun, or you can set up a chair in the shade under the pine trees. Both kids and adults enjoy swimming out and jumping off the float that is anchored a short distance off shore. A parking sticker is required at town-owned and operated beaches from the third weekend in June through Labor Day. 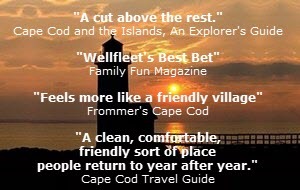 As a courtesy to our hotel and cottage rental guests, weekly and 3 day Wellfleet Cape Cod beach stickers can be purchased at the Even’tide Motel front desk. This enables you to skip the long lines and long wait at the beach sticker booth at the Town Pier and spend more time at the beach. We stand in line so you don’t have to! Cape Cod National Seashore parking permits, needed for Marconi Beach, can be purchased at the beach or at the National Seashore headquarters at the Salt Pond visitor center in Eastham. This permit is good at all the Cape Cod National Seashore run beaches from Eastham to Provincetown. Daily parking is available for a fee at Cahoon Hollow Beach, Whitecrest Beach and Marconi Beach.